Drivers license suspension and revocation have two important distinctions. A suspension is a temporary loss of your license. 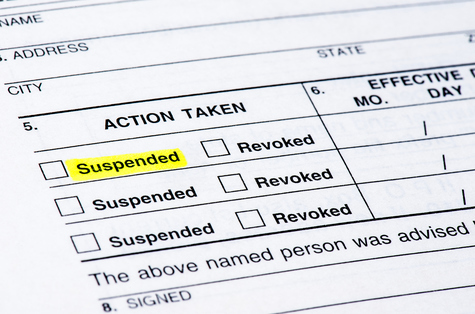 Suspended licenses can be reinstated at a later date, upon completing specified criteria. However, if your license is revoked, your driving privileges are forfeit. You may or may not be able to re-apply for a drivers license following the period of license revocation. The impacts of the loss of your drivers license will affect all aspects of your life. If you are facing a DUI charge and possible confiscation of your license, you must retain a skilled DUI defense lawyer. Angotti & Straface Attorneys at Law L.C. offers aggressive and effective legal representation for our clients. Let us assist you with preparing and presenting your case to achieve the best possible outcome. Individuals arrested for DUI in West Virginia have their drivers licenses confiscated. A notice of suspension/revocation is then issued. If you would like to challenge the suspension or revocation of your license, contact Angotti & Straface. We will request an administrative hearing on your behalf. Please note that you only have 30 days from the date of your arrest to challenge the loss of your license. If your West Virginia state drivers license has been revoked, you are required by law to file form SR22 with the West Virginia Department of Motor Vehicles before a new/reinstated license can be issued. SR22 insurance must be maintained for three years. If you allow your SR22 insurance to lapse during the mandatory period of coverage, your insurance carrier is mandated by law to file a report with the Department and your license will be revoked immediately. Contact Angotti & Straface Attorneys at Law to schedule a complimentary initial appointment to discuss your DUI-related drivers license suspension and revocation legal concerns at: Call: (304) 292-4381.